As a Professional Bodybuilder and member of the IFBB Pro League, Loyal Husband, Father, and Coach, I’ve dedicated my career to helping all individuals and competitive athletes reach their fitness goals! If you have a competitive edge and would like to know if you have what it takes to compete in a bodybuilding show, or if you’re interested in getting fit and shedding a few pounds, contact me! I’d love to help you set some goals and design a plan to help you achieve them! 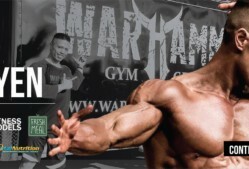 For more information about my services, please visit my website at www.marksindayenifbbpro.com. 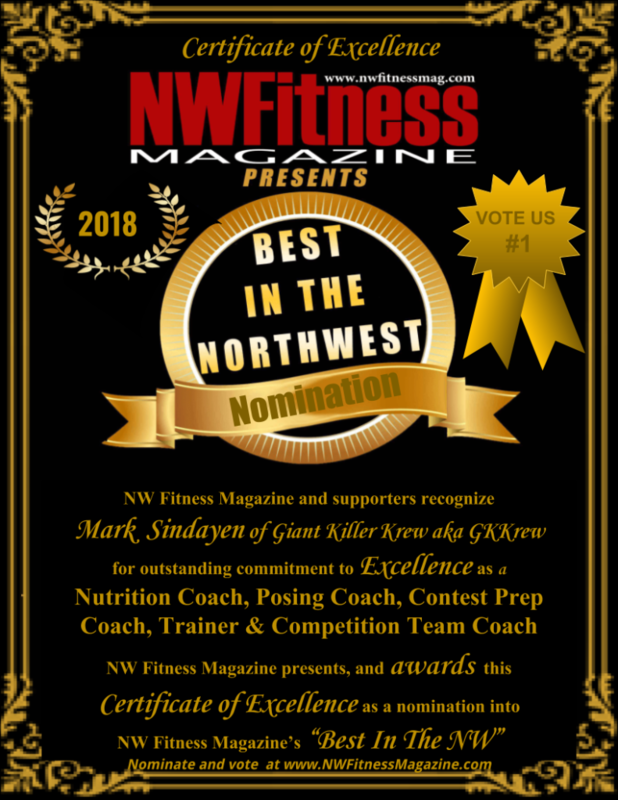 NW Fitness Magazines “NW Best” Nomination form below……..
Zeina Jensen – Best bikini training and posing coach! 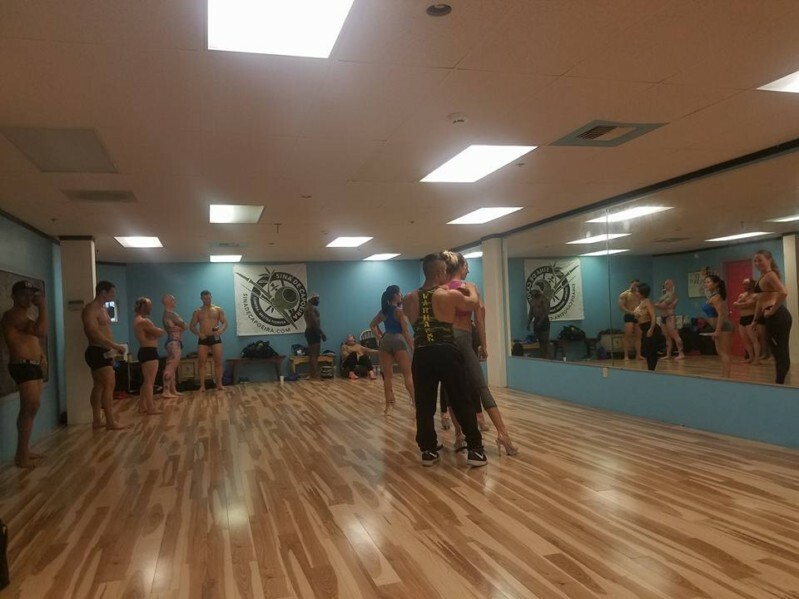 Robert Clendenen – He has coached, trained and dieted my 19 year old daughter for her first Bikini Show this past March 31st, giving her a huge advantage in her classes. My daughter won her Bikini Division D Open Class and went on to challenge for the Open Overall Title, this was all possible only with Mark Sindayen as her coach, nutritionist and mentor. Not only has he done great with my diet, and perfested my poseing. He has also explained things to me every step of the way. I can contact him at any time with questions or concerns, and late night chats for emotional support. Mark and the GK Krew have become family and i enjoy eveything i learn, and he makes prep FUN! Definitely going to be many more shows with Mark as my coach! Peggi Stewart – Mark is an outstanding coach whom support me his clients with grace and dedication. John wolfe – Awesome guy!! JR Zante – He also is my trainer. Talla Amini – Best and most helpful and humble and hard working ! 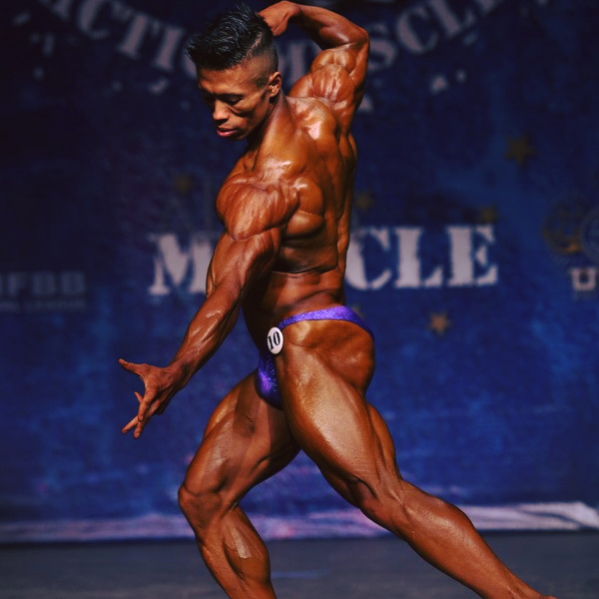 Loraine Sindayen – If you’re a male bodybuilder willing to wear stage heels to teach your figure/bikini clients how to pose, that’s a sign of a coach willing to go above and beyond the call of duty!